1)Remove plastic trim ring from around face of car stereo. 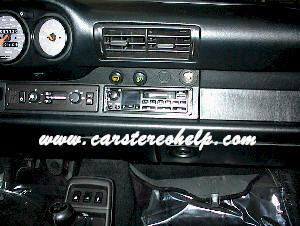 2) Release center post from side of car stereo our of locking mechanism, repeat this step for both sides of car stereo. 2) Disconnect antenna and connectors.